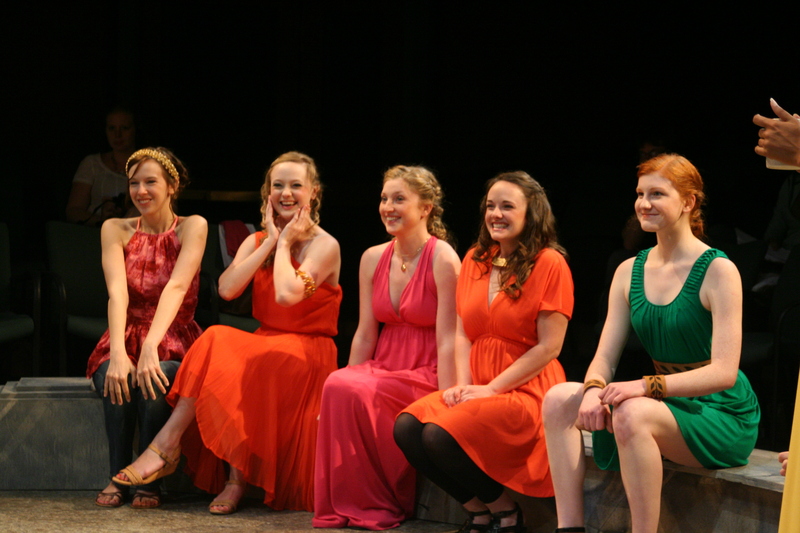 The Bachelor of Fine Arts (BFA) in Acting in the School of Theatre at UNCG is a comprehensive program for the student of outstanding promise and motivation whose goal is a career in theatre, film, and television. Entry into this selective program is highly competitive and designed specifically for those seriously pursuing acting as their occupation. Auditions are held three times each year on the UNCG campus for high school seniors. Students who are chosen for the program arrive their freshman year and immediately begin a range of intensive classes in acting, voice, movement, stage combat, and acting for the camera, along with courses in theatre history, technical theatre, and general liberal arts courses. The School of Theatre’s association with Triad Stage (an equity theatre based in Greensboro,NC) provides additional opportunities for BFA actors working toward their professional goals. BFA Acting students have the opportunity to audition for the UNCG New York Showcase presented for entertainment industry producers, agents, and casting directors as an entrée into the acting profession. Questions? Christine Morris at christine_morris@uncg.edu or Michael Flannery at flannery@uncg.edu or 336-334-4032. To schedule your audition for the BFA in Acting Program, please contact the program coordinators professors Michael Flannery and Christine Morris at bfaact@uncg.edu.